What’s brewing in downtown Hamilton near James St. North? 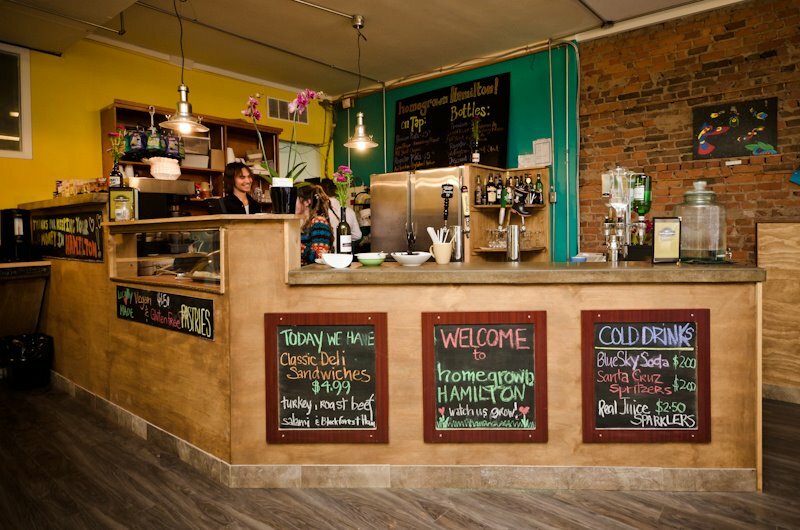 Local coffee shop Homegrown Hamilton is surely a hidden gem, features great coffee, soups and salads, and fun open mic nights. This is but one of many businesses that are part of the gentrification of Hamilton, thanks to young entrepreneurs and students that are looking to settle in the area. Other notables: Friday night Art Crawls, Farmer’s Market and Grit Lit (Literary Festival).